The Dazzler is a luxury boating sports yacht with a great design. Takes ten passengers and equipped with air-conditioning and heating. Sleeps 4 and has Genset to power the air-conditioning and heating. But the 3600 SY’s biggest asset is her hull configuration. Like many of the world’s best luxury boating builders, Riviera has now introduced mini tunnels into all of its new hulls (these will be incorporated into all Riviera hulls over time). These vastly increase performance and handling by reducing the drive-shaft angle, which gives more efficient propulsion. The shallower shaft angle also means a shallower draft and obvious advantages. The mini tunnels give the props clean water to run in, improve straight-line tracking and the hull’s ability to turn without any excessive tail slippage. But Riviera hasn’t stopped there. The company has also introduced underwater exhausts, which minimise engine noise both outside and inside the cabin, eliminate smoke around the transom and help aerate the water under the hull. This helps break water surface tension for more efficient planing. The rudders have also been upgraded. The ones fitted to the 3600 SY are longer and narrower than those on previous models and are more like those used on racing boats. This enables the hull to perform more aggressive turns. The twin 310hp diesel had more than enough grunt to slide the 3600’s hull out of the hole. The boat does come onto plane with a slight bow-up attitude, but at no time did we have any trouble seeing over the bow. This bow-up angle can be reduced by using the trim tab, which was integrated into the hull on this vessel, but we found we didn’t need too much trim when underway at sea and only used the tabs for lateral trim in the varying wind conditions. Plus, this slight bow-up running angle ensures the sharp bow entry sliced through the swells cleanly. The only downside is you have to bend down slightly to get a totally clear view well behind the boat. But don’t get me wrong, because on the whole, the 360- degree vision from the helm station is extremely good. As it is from anywhere in the saloon, as the large cabin windows offer magnificent panoramic views of the passing scenery for anyone seated there. 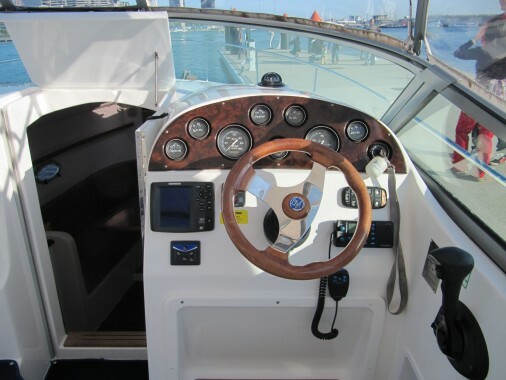 At sea, the electronic controls and light steering make this boat a pleasure to drive. The hull’s aggressive chines and pronounced flare deliver a soft and dry ride. There was obviously plenty of fibreglass used in this boat’s construction, because running noise was minimal and the hull didn’t bang and crash, even head on into the swells. With the saloon doors closed, engine noise was almost nonexistent. But even with these doors open the underwater exhaust do their job of quietening running noise. This boat was designed with two things at the top of the “most wanted” list. She must have the ability to go cruising in comfort, but still retain the creature comforts needed for entertaining. Her open-plan layout, large all-round windows and clever glass rear saloon doors, the starboard door opens and locks against the cabin wall, while the port half-window opens and locks against the aft cockpit’s roof, combine to bring the outdoors indoors. The spacious aft cockpit features teak decking, a transom lounge and a folding timber table that’s ideal for al fresco dining for two. It can also be used as a servery for the nibbles when you’re entertaining onboard. There’s a cockpit fridge to keep the drinks cold and a locker unit on each side of the cockpit. A barbeque can be fitted to one and a sink unit to the other. A stainless steel door opens onto the teak swim platform where there’s a shower to wash off the salt and sand after a swim. There are plenty of grab rails to hold onto when negotiating the walkways around the cabin when going forward. These walkways are a little narrow near the aft cockpit, but they widen as you move forward. Up for’ard there’s a large sunpad for those wishing to soak up a few rays and a thigh-high bow rail if the need ever arose to go to the bow when anchoring. The saloon features a comprehensive galley to starboard, teak flooring, a pop-up plasma TV in the forward bulkhead and a comfy lounge to port, which doubles as a single bunk and gives the 3600 a sleeping capacity of five. There’s room for two in the forward stateroom and two in the guest’s stateroom on the portside. The helm station features full instrumentation and a comfortable driving position on a wide bench seat. The massive windscreen wipers are a big bonus. They give the driver a clear view forward. Above the helm and navigator’s station are sliding hatches, which are excellent for ventilation if you don’t want to “arc up” the reverse cycle air-conditioning. There are also sliding forward widows on both sides of the cabin, which aid ventilation and mean you don’t need to keep the air-conditioning running all of the time. The head is on the starboard side behind the helm. This boat is surprisingly spacious for a 36-footer. It features a vanity unit with large mirror, a mid-sized toilet and an enclosed shower recess that yes, you can stand comfortably in to wash yourself. 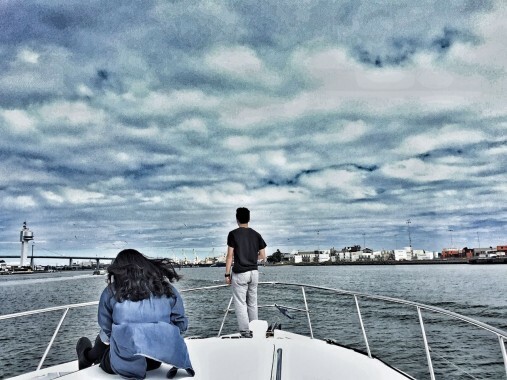 In short, this boat has all the features to make her an ideal luxury boating vessel for those long, leisurely cruises for two, or a family of four with one of the kid’s friends tagging along. She’s comfortable and luxurious, but not overly opulent, so you won’t have to worry about the children doing too much damage to the woodwork. Her handling and performance are excellent and if the sea does come up you can batten down the hatches and make the trip home with complete confidence, thanks to her rough water capabilities. The Show Pony takes 1-10 passengers. This speed machine is diesel powered for great performance. Sleeps 4 with the latest sports yacht design. Full kitchen & bathroom facilities. There is a lot of utility about the Mustang 32, a boat conceived for your archetypal Aussie family. The reasonably deep integrated swim platform, handheld hot/cold shower and aft-facing outboard lounge, with gas bottle locker nearby, creates a transom station. Once aboard, the single-level cockpit/helm deck and galley are all largely shaded by the hardtop. Seating comes in the form of an L-shaped lounge to port around a teak dinette. We’re told you could option this up as a convertible daybed. Add camper or insect covers and you’d have an indoor/outdoor bed. Storage is a highlight on this big little boat. You will find it under all the lounges and in hatches for fenders and lines, plus in drawers behind the cockpit. The charger and house battery main switch, plus a TV were in a cupboard behind the helm seat. Back across to port is the galley module with new cover, Dometic two-burner gas stove, sink and Waeco 12V fridge, with yet more storage below. Add the underfloor voids either side of the lone engine and in the engineering space forward and there’s no shortage of room for stashing water toys, fishing gear, roll-up tender, provisions and more. Meantime, there’s a good deal of cockpit floor space left over — more than many American sports cruisers in this class — and ample headroom under the hardtop. The space gains come from the fact the side decks aren’t especially wide. 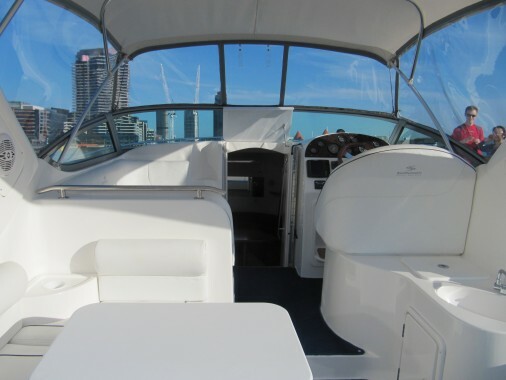 Grab rails on the cabin top assist, although a windlass provides helm-based anchoring. With the upgraded trim level, the accommodation below decks is even more inviting than we remember. The stateroom in the bow boasts a big island bed, twin opening ports and escape hatch, and his and her hanging lockers. There’s storage under the bed, while the teak joinery has 13 coats of varnish. Suffice to say it shines. Scoring a second cabin with twin bunks is a boon. The kids will relish their ‘cubby house’ while couples will have somewhere to throw the soft bags and clothes. An opening portlight ensures fresh air, but you could delete the cabin door for a more open-plan layout. Last but not least, the bathroom is a beauty. The big white moulded space has oodles of room to operate the handheld shower and will be easy to clean. The electric freshwater Vacuflush toilet also feeds off the modest 120 litre water supply that will last a weekend if you’re not wasteful. An additional 130-litre tank is an option worth considering. The handlaid solid-glass hull has vinylester resin layer to ward off osmosis. The mouldings look very fair, there are stainless steel through-hull fittings below the waterline, Fireboy fire-suppression system and gas sniffer, high-water alarm and aluminium fuel tank with cushion-clamped lines to international standards. All the wiring is colour coded. 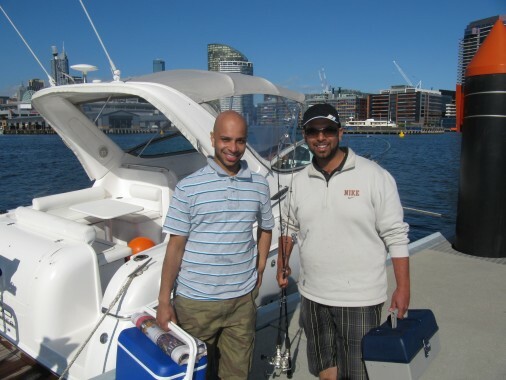 The boat comes standard with a 25amp battery charger and two N200 batteries, with a 4kg gas bottle for the cooker. In other words, the Mustang 32 is based on the KISS principle. Add a barbecue and be done with it. The Volvo Penta D6-330 diesel engine is standard in our club boats for the ultimate performance. An electric hatch lift reveals our engine on test, the latest V8-380 . It’s a compact V8 in boy-racer red. The house and crank battery are nearby, the Whale bilge pump has float and high-water switches and the hot-water service is found down here. In a separate forward utility space you’ll find the holding, fresh and black water tanks. The V8-380 has a protected exhaust system made of aluminium to lower weight, and the exhaust flow has been optimised to achieve the highest possible levels of performance. The engine and the exhaust system are cooled, as standard, with glycol. The new V8 also has Variable Valve Timing (VVT) technology to optimise torque at low rpm while maximising performance at high revs, resulting in faster acceleration, increased top speed and smoother, better response in the mid-range, claims Volvo Penta. Time to put that to the test. Stats on the sweet spots. At greater revs of 4400rpm, the Volvo V8-380 returns 25.65 knots, consuming 57.71lph or 2.25lpnm for a 289nm range. Volvo Penta wins by 10 per cent in fuel efficiency while cruising less than 1 knot behind. Full noise or wide-open throttle (WOT), the Volvo Penta revs to more than 5400rpm, returning 37.45 knots while burning 2.91lpnm for a 223nm range. One last thing: there’s a really interesting power band in the mid to three-quarter rev range. A mere touch of the throttle produces a sporty jump. In fact, it’s so much fun you can’t help but ride the throttle while helming the boat. Garmin 750S plotter/sounder , and a 12V TV f in the upper saloon, and a Lewmar bow thruster. Engine: 1 x Volvo Penta V8-380 with Aquamatic sterndrive, 2.5in engine display and e-Key. 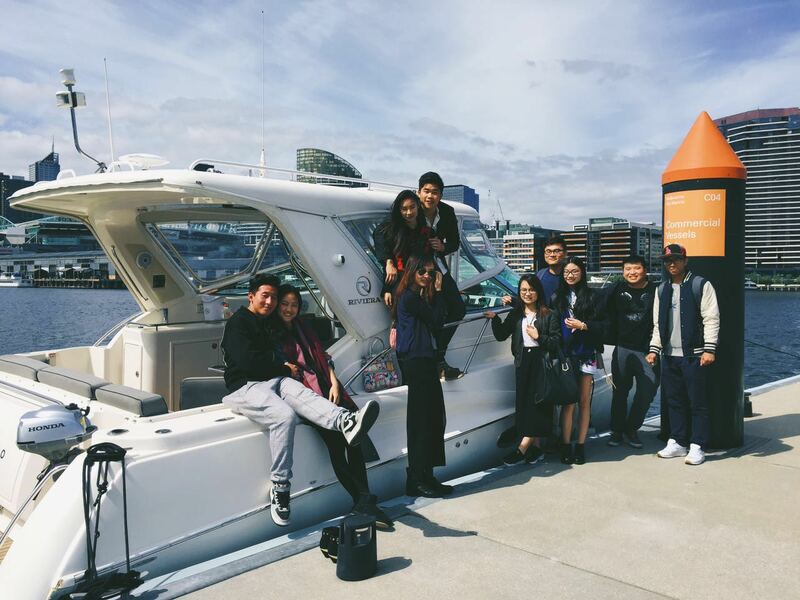 Great entry level cruiser that takes between 1-6 passengers. Equipped with kitchen and bathroom facilities, inverter, fishing platform. Very affordable memberships from $399 per month. The standard 2800 is powered by a single 5lt V8 MPI, 260hp, MerCrusier petrol engine with a Bravo II sterndrive, and that’s all it needs. The test boat sported a 6.2lt, 320hp, With the 6.2lt engine the boat cruised comfortably at 3000rpm and 20 knots and the GPS recorded a top speed of 35.8 knots at 4800rpm. It is quiet. At 2000rpm the sound meter recorded 71.6dB in the cabin and at cruising speed, around 3000rpm, the noise level was a comfortable 80.5dB. but being only a single engine drive the MerCruiser with the Bravo II leg is well suited to the boat. Another feature is the easy access to the engine, the whole of the aft cockpit floor lifts up. The 2800 is no fuss to drive and virtually backs like a car into a pen. It has trim tabs, but I found that the boat didn’t need them and except for a little trim up on the leg on the plane, it didn’t need much trimming at all. Granted, there were only two of us onboard and with a couple more adults on the boat the trim tabs could be used to balance the extra weight. “Its the step on and off service member love” at the Docklands with ample parking. come and join the club! A Surprise Gift for Mum! Why not surprise Mum with a special gift? 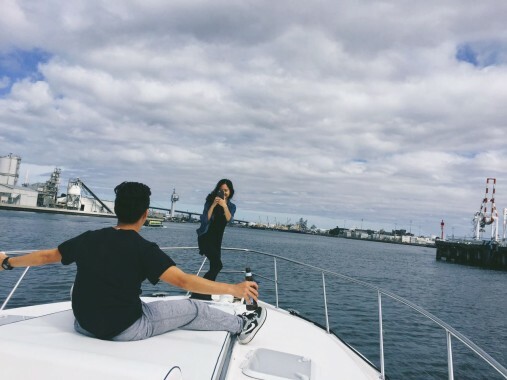 Show how much you care by lavishing her with an overnight stay on a luxury sports cruiser, which is about elegance and comfort. 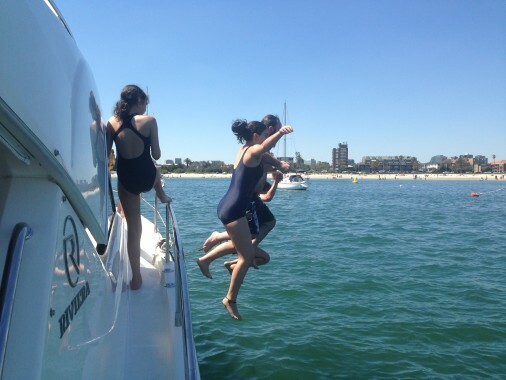 Pleasure Cruising Club is offering new members a navigation trip to Queenscliff marina with an overnight stay*. 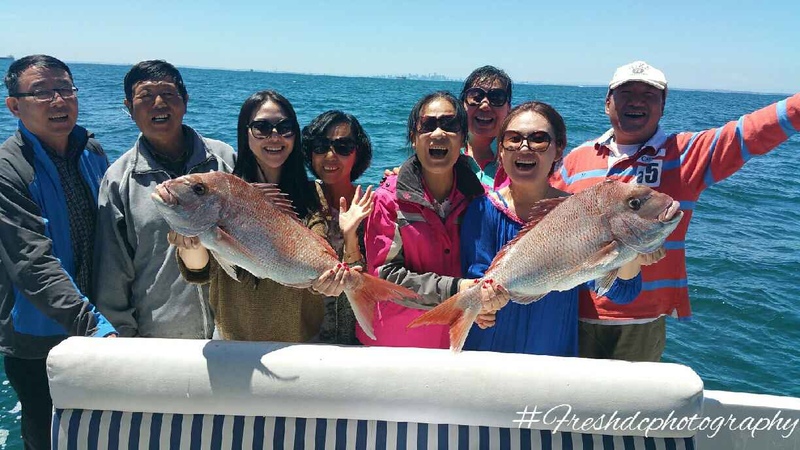 Queenscliff is a small historic seaside village on the Bellarine Peninsula that attracts visitors from all points of the globe to discover the charms of the small town , to explore some of Australia’s best reefs and shipwrecks, with abundant marine life to see. Swim with dolphins and seals or try a spot of fishing from your luxury sport cruiser. The clubs mission is to keep members safe, provide boating excellence, and make sure our members have no hidden boating costs. Membership subscriptions will increase from the 1st of April 2015. You can still avoid it. Join now and commence later. Want to enjoy not just one boat this season but a whole fleet? Want to enjoy boating without the hidden costs? With a great range of boats to choose from and a step on and off service, you’ll never have it this good anywhere else. Full training and fleet support is provided to keep members safe. 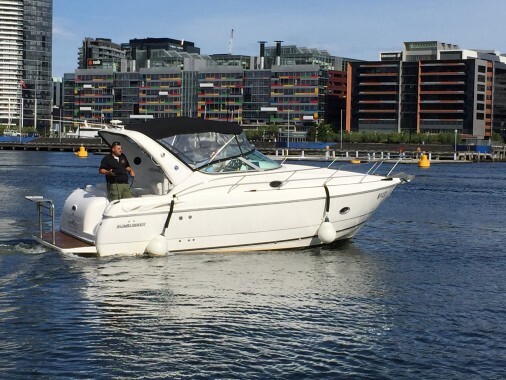 The Boating Industry Association has identified Victoria does not have an effective plan to address the infrastructure needs of the trailer boat owners. 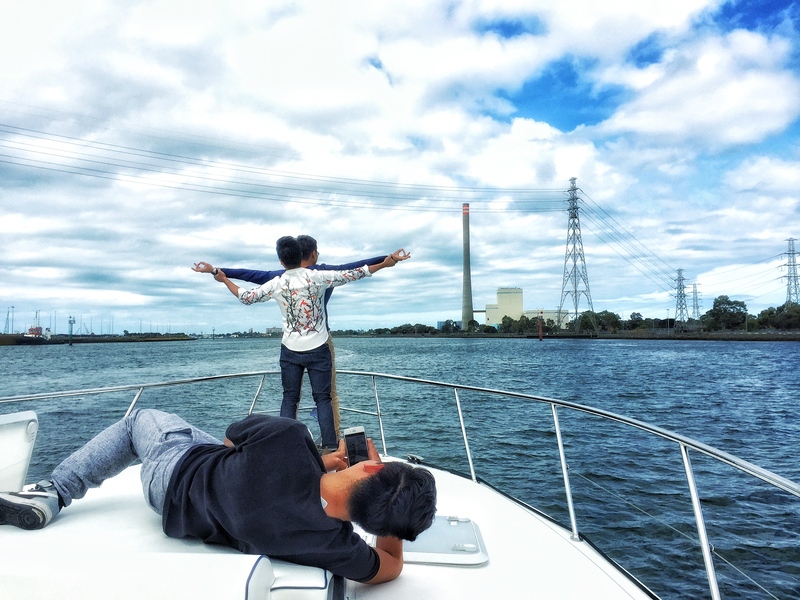 Currently there is no Agency or Government department with the responsibility and adequate resources for planning for the needs of recreational boat owners in Melbourne. The Pleasure Cruising Club is honored to have many members of the local Chinese luxury boating community in Melbourne. 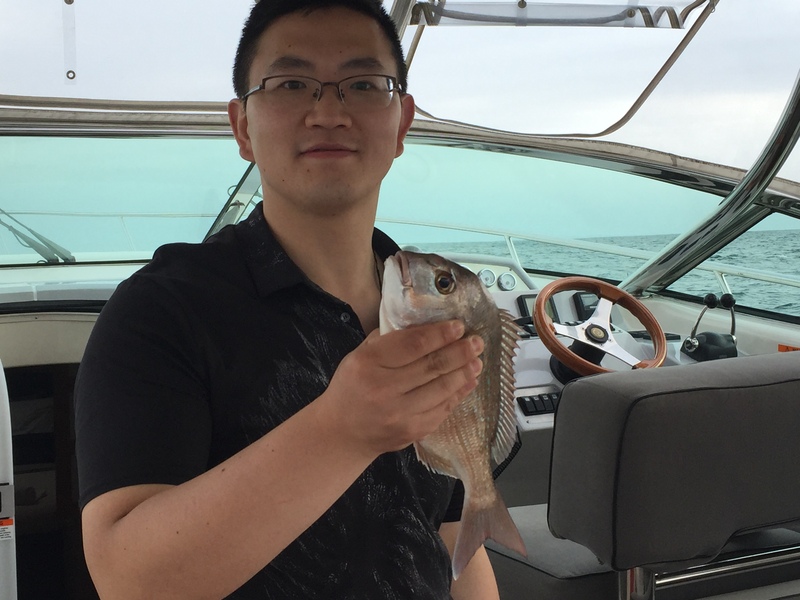 They like to go fishing in the bay and have a great time with family playing Majong. Chinese members also like to go luxury boating on the water. 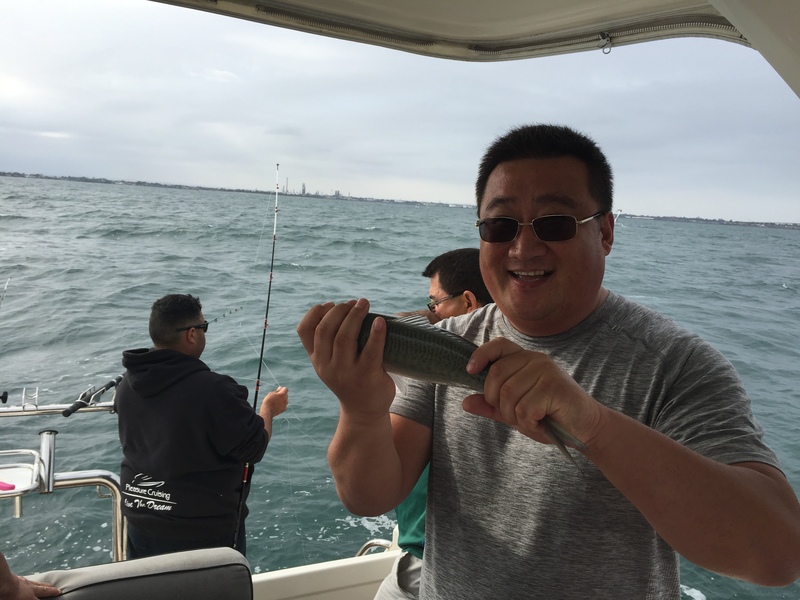 In turn, the club organizes fishing days, Chinese New Year celebrations and Moon Festival. Let’s take a look of the past adventures in 2016! The Dragon Boat Festival (Duanwu Festival, Duānwǔ Jié, Double Fifth, Tuen Ng Jit) is a traditional holiday that commemorates the life and death of the famous Chinese scholar, Qu Yuan (Chu Yuan). This takes place every fifth day of the fifth month on their lunar calendar. 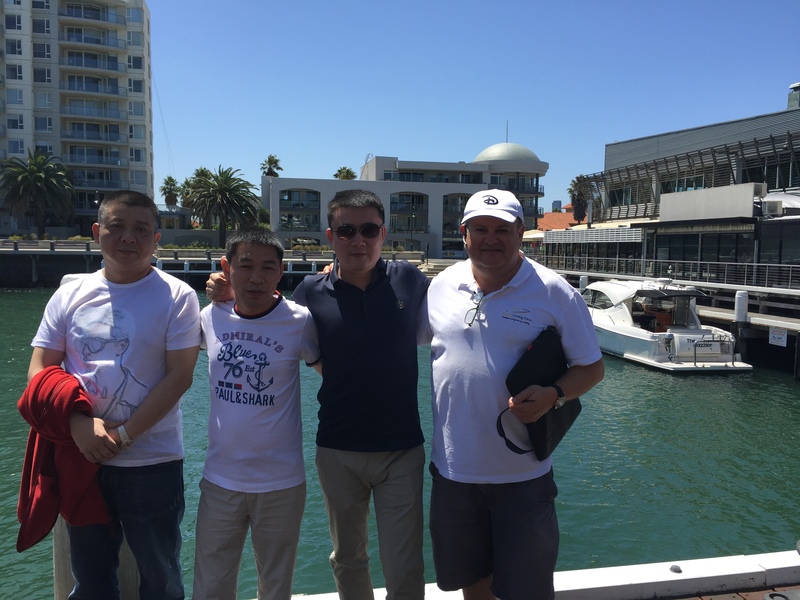 Please Cruising Club Chinese members enjoy cruising with family and doing business on the water. Boating is enjoyed by all.